The agony of losing one’s self in the ruins of a crumbling decrepit mind is not peculiar to Murdoch alone. Nor is the anguish of her husband who has to somehow help her make sense of a progressively blurred and splintered reality. By the reckoning of the 2016 World Alzheimer’s Report, over 47 million people globally are in the grip of this merciless and elusive burgler of memories. And with large numbers of people living longer across the world, Alzheimer’s is expected to strike three times as many by 2050, surpassing cancer as the second leading cause of death after heart disease. For all the boast about India being a young nation, with every two out of three people under the age of 35, it still has over 80 million people over 65, of which, according to one estimate, more than 4 million are affected by Alzheimer’s and other kinds of dementia. This makes India the third highest bearer of this dreaded burden, after China and the US. Taking care of such a legion of Alzheimer’s patients could take an extraordinary emotional, let alone economic, toll on the caregivers. The disease itself remains an enigma with no treatment, let alone a cure, in sight as yet. However, as wicked a problem as Alzheimer’s is, science has managed to decipher some aspects of its complex persona. We now know, for instance, that it is not, as was believed earlier, just a matter of growing old—an Alzheimer’s patient is under siege from a gang of rapidly multiplying rogue proteins, poetically christened plaques and tangles that eventually, often in a matter of few years, pulp the brain by massacring nerve cells. As neurons die in a cascade, the patient suffers wild mood-swings, disorientation, short-term memory lapses and a fragmented sense of reality—unable to recognise some faces, for instance. Besides, we also know about its many inexplicable quirks. For instance, it afflicts women more than men; or that some communities, such as the Icelanders, have a natural defence against it, while some others, like 5,000 people in a particular clan of Colombians, are unsually vulnerable to it, suggesting either way that some genetic mutations might be behind it; or that many individuals do not slide into Alzheimer’s despite a clear build-up of plaques and tangles; or that it accounts for over 70 per cent of all forms of dementias. Though often described as the “plague of the 21st century”, Alzheimer’s has an ancient vintage. For the longest time, its victims were regarded as senile, or imbecile, or simply possessed—in medieval Europe, it was not uncommon to treat such people by “trepanation”, a technique that involved drilling holes into the skull to dispel evil spirits. In fact, it wasn’t until the beginning of the 19th century, when the French physician Phillipe Pinel coined the word dementia to describe mental illinesses, that such patients were seen as suffering from a disease. But it was almost a century later, in 1906, that a German psychiatrist called Alois Alzheimer described for the first time the characteristic symptoms—plaques, tangles and reduced brain-size—of what was eponomously called Alzheimer’s. However, such was the enamour of Sigmund Freud’s ideas about human nature and behaviour at the time that his proposition that dementia might be rooted in biology didn’t cut much ice with his peers. However, his ideas were reaffirmed in the 1970s when more advanced imaging techniques exposed in finer detail plaques and tangles of a brain wasted by Alzheimer’s. In 1991, British geneticist John Hardy proposed plaques of a renegade protein called beta amyloid as Alzheimer’s smoking gun. Lured by the amyloid hypothesis, many researchers and pharma companies rushed to develop molecules that could kill the plaques, and hence prevent, or at least stave off, Alzheimer’s. Unfortunately, however, almost all the clinical trials so far have come a cropper, leading Pfizer to recently abandon its quest for an Alzheimer’s drug. With the amyloid hypothesis in doubt, new competing theories have sprung up. The tau hypothesis claims that it is the twisted tangles of a protein called tau that eventually strangles a neuron from within, thus triggering Alzheimer’s. The “Type III diabetes” hypothesis suggests that the real culprit is a gene called APOE4 that somehow deprives the brain of the blood sugar vital for keeping the neurons going. A third theory posits that Alzheimer’s is triggered when plaques and tangles provoke brain’s immune cells called microglia to turn against itself. And lastly, there is the controversial pathogen hypothesis which proposes that some microbes might be the mastermind behind Alzheimer’s. However, as hypotheses go, they might have some substance, or they could be pure flights of a desperate mind. As things stand, scientists concede that a treatment for Alzheimer’s is at least a decade away. 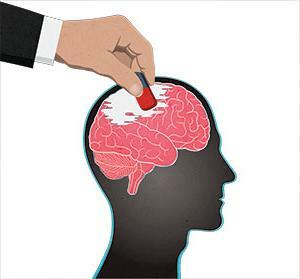 Some scientists argue that in the meantime, as Alzheimer’s expands its empire, altering our lifestyles might be our best bet against the great brain robbery even though there is no solid evidence of whether and which environmental factors, good or bad, might do the trick. Of the notable candidates, there is turmeric, the sine qua non of most Indian diets, which some scientists believe might explain the alleged resistance of Indians to Alzheimer’s; or sugar, which many suspect of being complcit in the elaborate brain heist; or solving puzzles and learning new skills, all of which might keep the brain from sliding into the dark abyss. Having a purpose in life and being social might help too. Indeed, in a promising, albeit small, 2015 study at the University of California, Los Angeles, a small group of Alzheimer’s patients put through a customised regimen of diet (more veggies), exercise, meditation, and better sleeping techniques actually performed markedly better in memory and problem-solving tests.